You are at:Home»Herbs»Physalis alkekengi Linn. Latin name : Physalis alkekengi Linn. Description : The fruit acts on the liver and is antitussive, aperient, alterative, anthelmintic, diuretic and laxative. 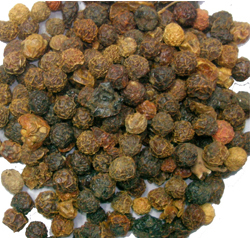 It is useful in strangury, kidney stone, gout, difficult urination and several urinary disorders. It is invaluable in feverish conditions. Recommended Dosage : 5 to 7 g powder of dried mature fruit.